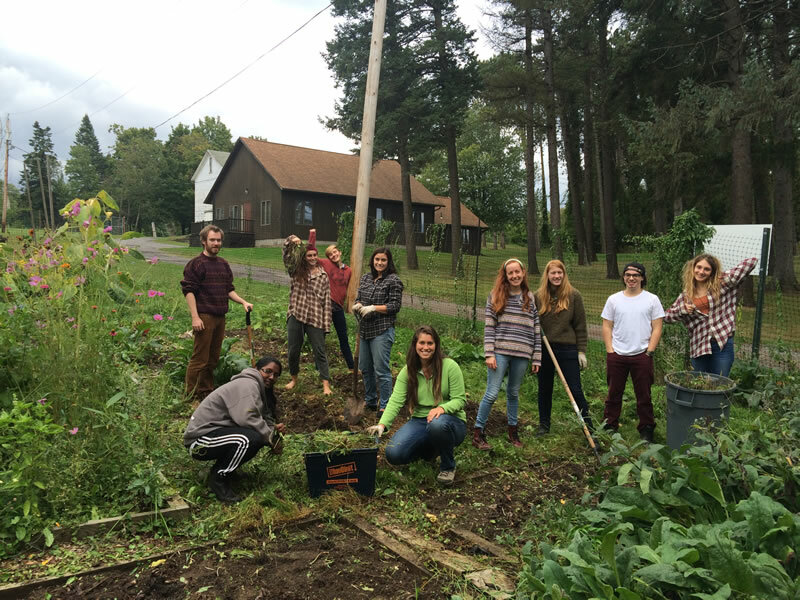 Established in 2010, the garden is tended by students, faculty and others from SUNY College of Environmental Science and Forestry. We grow wild flowers, vegetables (corn, squash, eggplants, ground cherries, carrots, radishes, kale, spinach, comfrey, potatoes and more), fruit (strawberries, tomatoes, peaches, apples and more), herbs (dill, basil, mint, lemon balm, joe pye weed and more), elderberries, onions and garlic. Folks interested in getting involved can meet us at the ESF campus Sundays at 3 and we provide transportation to the garden for a few hours at a time. Any involved member may take trips down to help maintain the functions of the garden.